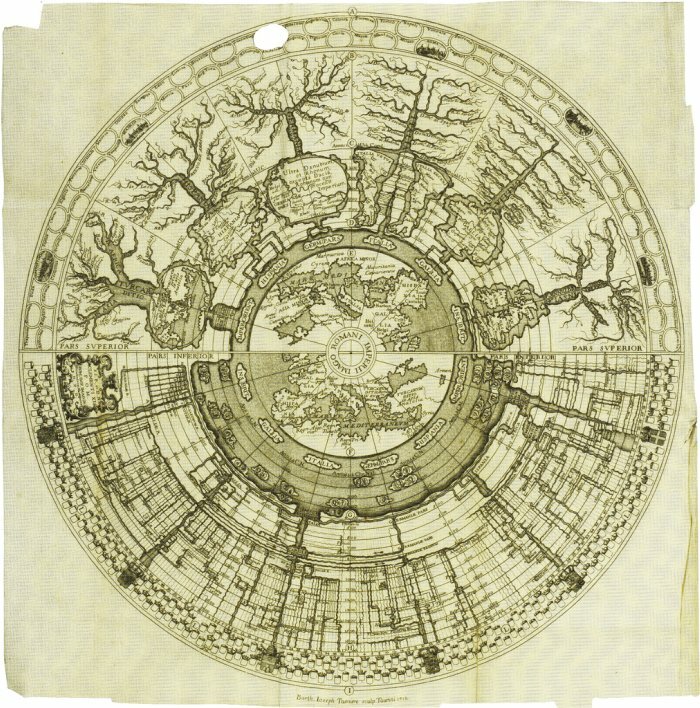 New book about the history of graphic representations of time, 'Cartographies of Time - A History of the Timeline', by Daniel Rosenberg and Anthony Grafton, writes about the subjects while handing us some rare and beautiful maps, charts and diagrams. 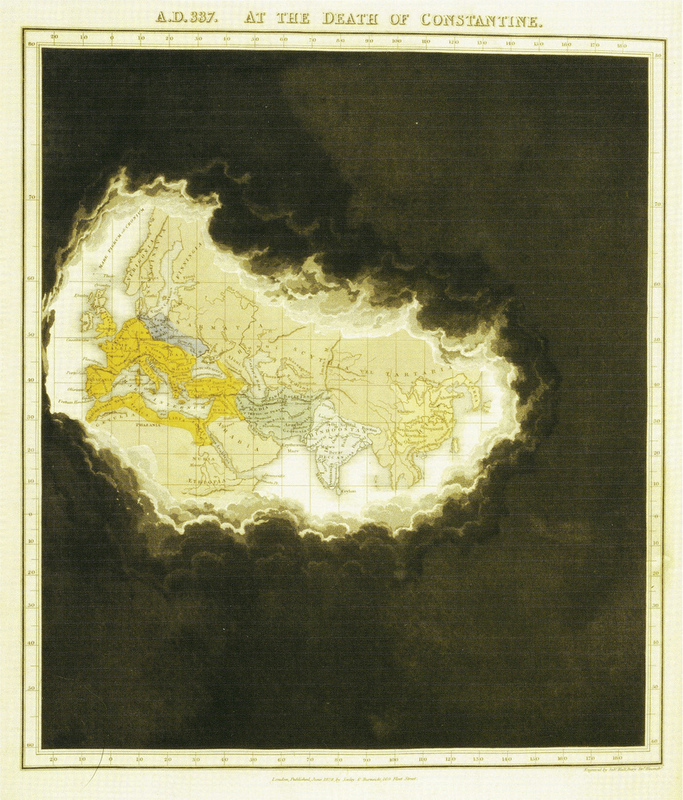 Edward Quin’s 1828 “Historical Atlas” used a series of maps to show changes in the world’s political divisions. In successive maps, the clouds roll back to reveal how much of the world was known to the West at the time. The map at left shows the state of the West at the time of the death of Emperor Constantine, in 337.